Custom cakes can be PRICEY! 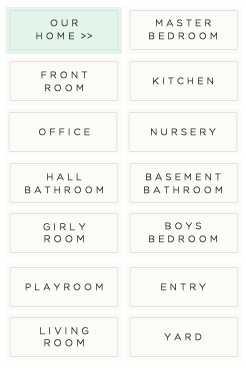 And it seems the MORE layers the more expensive it is! 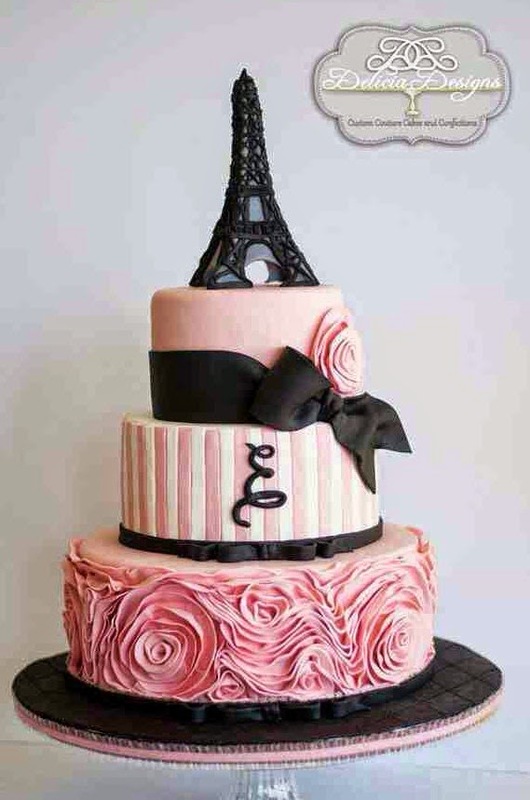 I was DREAMING of this cake (minus the Eiffel Tower) that I found on Pintrest! ~The 2nd layer of my cake is a round foam I bought from Michaels. 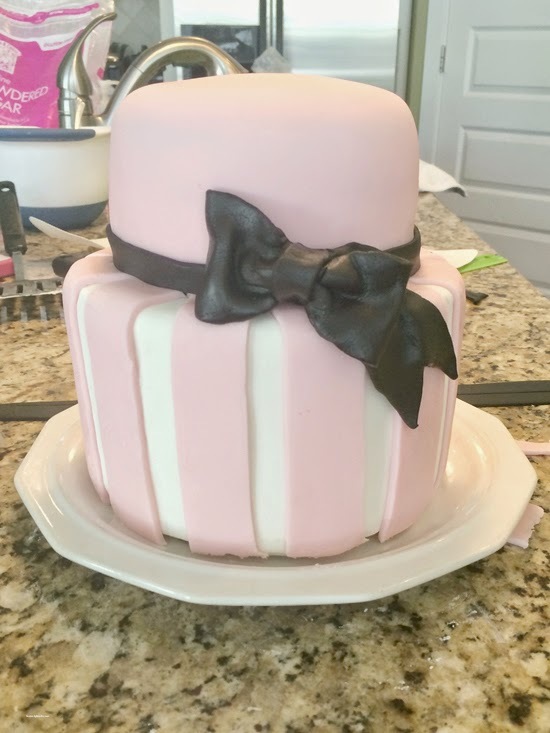 I then covered it with white homemade fondant (super easy to make) and the pink stripes were pre-made fondant that I bought on Amazon! I molded the M by hand and also used black fondant. The brand I used was AWESOME and tasted GREAT. I would Definitely recommend it! ~The Top Tier is real cake as well. But again...Alberstons came to the rescue. They made a 6 inch round cake that they lightly frosted. 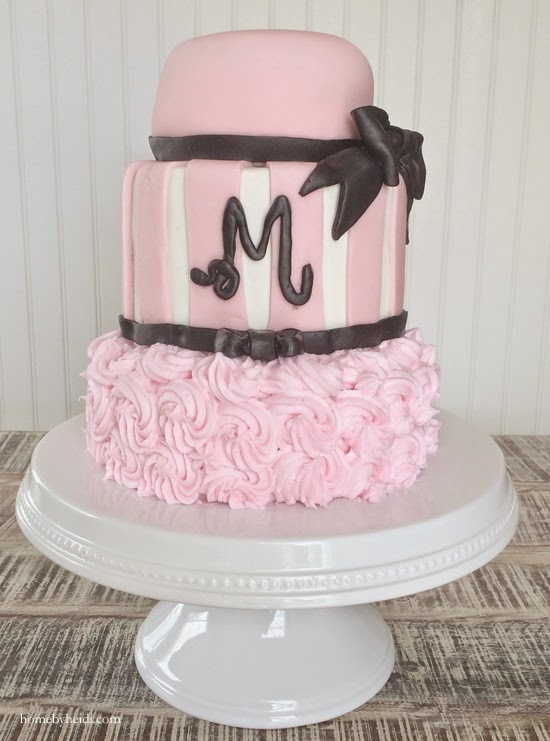 All I did was cover the top with pre-made pink fondant and molded a black bow out of fondant as well. My super nice SIL had a few tools that she let me use to smooth out the fondant. She also was my moral support as I attempted to assemble the cake. Even though I didn't do the baking part of the process, I felt it was still a bit challenging. 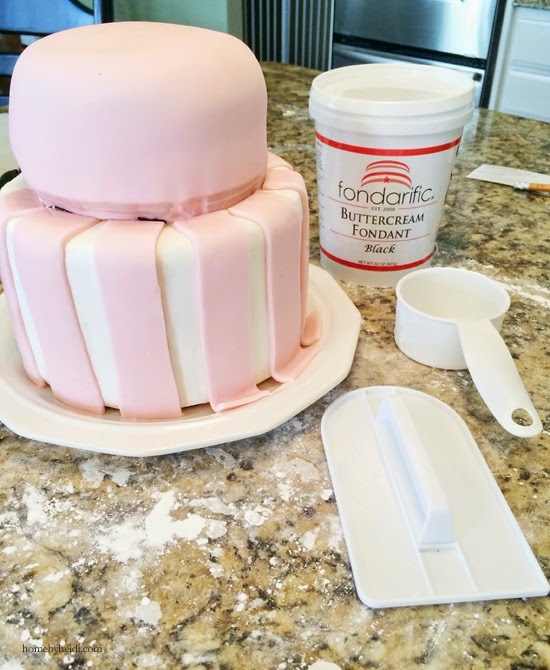 Working with fondant is NOT as easy as it looks! But I am so glad I attempted it. 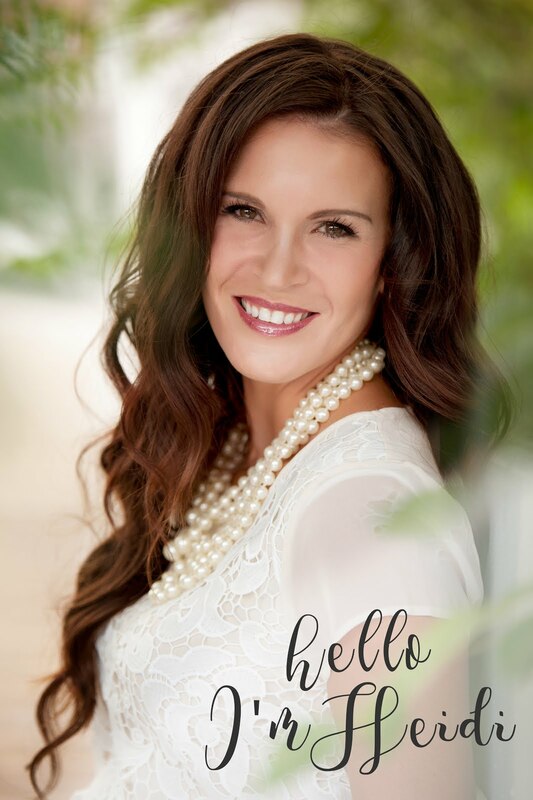 This experience gives me some confidence that I could do something like this again :) If I can do this...so can you! In the end, even though I see a BILLION mistakes (ugh) I am still happy with how it turned out. Wow, I am super impressed. This turned out so cute! 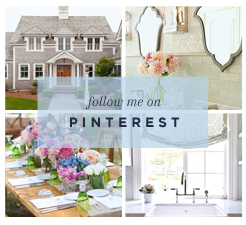 Beautiful & Brilliant- I loved your shortcuts!